Ingredients: Wheat Flour “00”, Olive Oil, Extra Virgin Olive Oil, Brewer’s Yeast, Fennel Seed, White Wine, Salt. (contains sulfates). 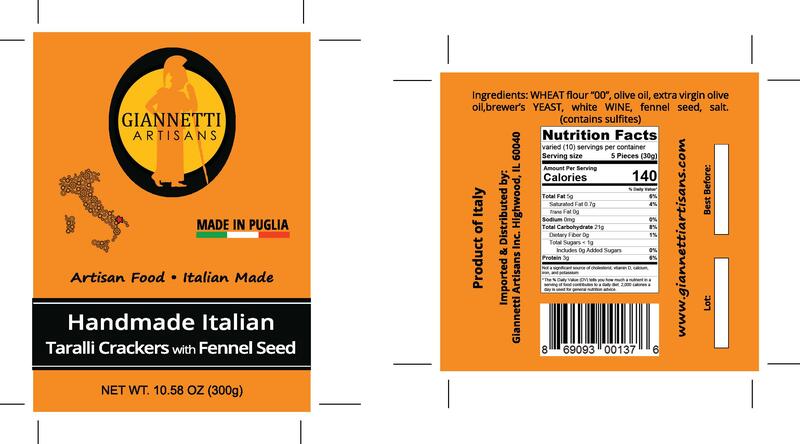 Giannetti Artisans Handmade Fennel Seed Taralli Crackers from Puglia (Apulia) are a remarkable handmade product. In fact, a small family run business in Bari makes our taralli crackers with a secret family recipe. To this day, they have never revealed their recipe! Furthermore, the Extra Virign Olive used in the taralli crackers is from an area called Bitonto, known as the Olive Oil capital of Puglia (Apulia). 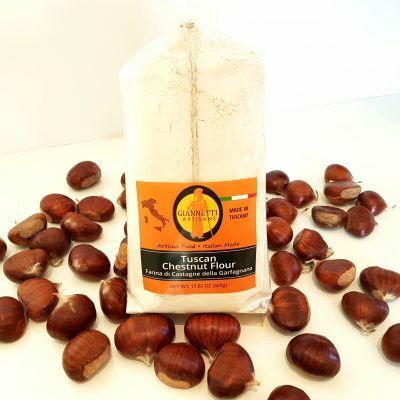 Not to mention the fact that the producer uses flour that comes from an area of the Apulia region called “Tavoniere delle Puglie.” It is the second largest wheat producer in Italy right after Padania. 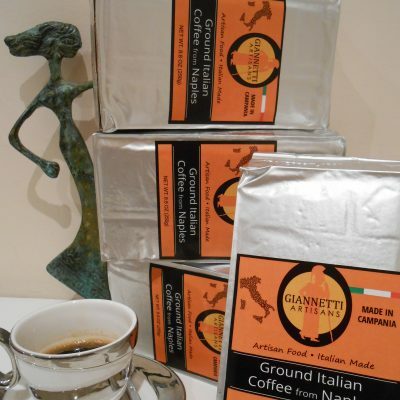 The Apulia region is well-known for their baking abilities and high quality wheat products. If you take a close look at the shape of the crackers, you can tell they are truly handmade. By all means, crunch in and try for yourself! – (300 gr) 10.58 oz bag.